Cattle from all over the country have gathered at various locations in the city, announcing the arrival of another Eid-ul-Azha. The haats (cow markets) are bustling; there is excitement in the air and the haggling has commenced. The smelly, yet lively markets are the places to be, the animals, sights to behold. 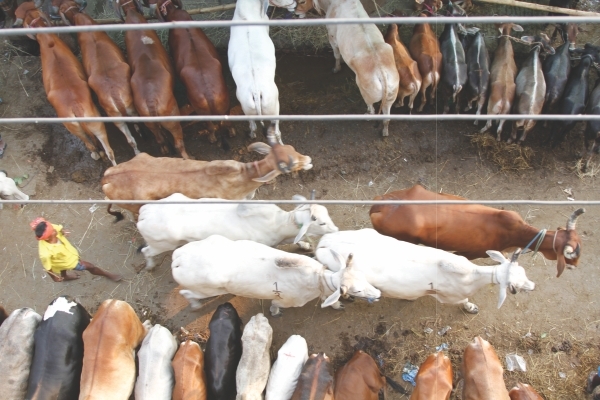 Gabtoli is the largest cattle market in Dhaka and it is where the best breeds can be found. The few days before the day of sacrifice, the cattle traders get busy, tending to their animals and making sure they attract the biggest buyers.